Curly in the City: Gift Guide: Cozy and Chic at Home! 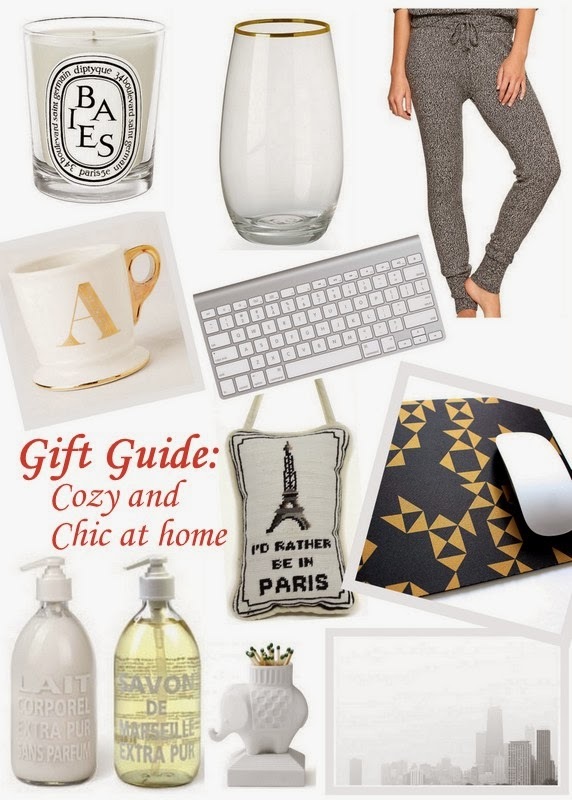 Gift Guide: Cozy and Chic at Home! Nothing better than lounging at home (to me at least! ), and it's even better when you are surrounded by little trinkets that you love! So whether you have a bestie who works from home, a lady friend who spends Friday nights in instead out. Everyone deserves a does of cozy and chic at home! Now that I've been working form home more and more, I find myself wanting everything styled perfect, drinking water out of fancy glasses just because I can! I'd welcome all of these to my house or under the tree in an instant! Here are a few of my favorites items to help you on your gift giving adventure! What items would you pick? Aren't they amazing?! I'm SO getting them for myself ASAP! Love this! I just picked up a similar pair of sweatpants at H&M, as well as that Anthro gold mug!